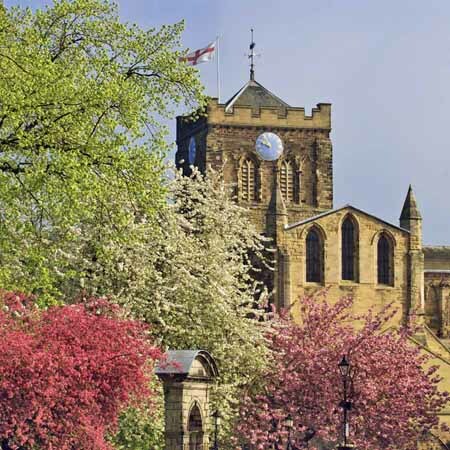 The market town of Hexham, like many towns in the Anglo-Scottish border area, has a long and turbulent history. The architectural landscape is still dominated by the ancient Abbey, a site of Christian worship since the 7th century A.D. The town lies close to Hadrian’s Wall, on the south side of the River Tyne, about twenty miles west of Newcastle upon Tyne.